Try it with all types of fruits and cheeses. Excellent with desserts such as ice cream, flan, cookies or as a cake filler. Spread it on toast or waffles. 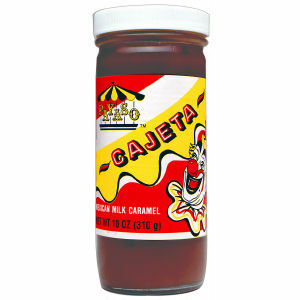 Try cajeta in your own recipe or by itself. Ingredients include real milk and natural sugar. Enjoy.